Ever Wonder how Yarn is Made? Whether you’re creating something entirely new and your own by knitting or crocheting, or buying a piece of clothing off the rack in a store, fibers make up all of the clothing we buy or make. If you are new to the world of knitting and crocheting you might not have thought much about fibers, but they’re easily the most important feature. The expansive selection of fibers, tools, and directions can be confusing when you’re just getting started, but once you get going it’s easy to catch the enthusiasm for learning and exploring all of the amazing things that can be done with fiber. At Yarn Durango in southwest Colorado, our staff is dedicated to assisting you in selecting the right project and materials to match your unique desires and skill level. Our store is fully stocked with the Four Corners’ premier selection of quality brand-name yarns in a variety of fibers, from bamboo to alpaca, as well as locally produced yarns and roving. But what makes the range of yarns distinct from one another, what are they made of, and which yarn should you start with? 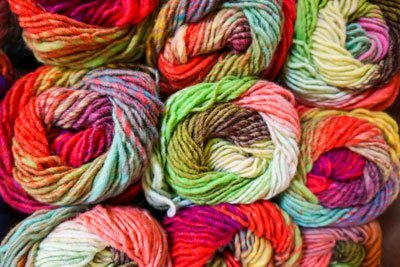 If you are looking to learn about different fibers that make up yarn and their best uses, Yarn Durango has you covered! There are a lot of ways to make a ball of yarn. In her guide for choosing, using, and enjoying yarn, the Knitter’s Book of Yarn (2007), Clara Parkes offers a detailed explanation of how different fibers are turned into yarn. Yarn can be made from protein, synthetic, cellulose, and cellulosic fibers. Depending on the fiber, some are great for beginners while others are better suited for the experts. Each fiber type behaves differently with use, so before you grab a ball of yarn to start knitting it’s important to understand how these fibers work! Containing carbon, hydrogen, oxygen, nitrogen, and sulfur, you can think of protein fibers as any hair that is grown from animals (Parkes, 11). You’ve almost certainly heard of yarn made from the hairs of sheep (wool), but did you know that goats, camels, rabbits, and even your pets produce protein fibers that can also be made into yarn? Each animal produces protein fibers that have their own distinct characteristics. Parkes explains that just as our own human hair has variety in texture, color, and appearance, protein fibers also vary from animal to animal, and breed to breed (12). Sheep’s wool is knitted and crocheted easily, and is popular for having a wide array of different textures, from “rugged and ropelike to delicate and ethereal, with just about everything in between” (Parkes, 13). To make yarn from sheep’s wool, they are shorn about twice a year and their wool processed into yarn. Cashmere is another well-liked protein fiber. Known and popular for being a very luxurious fiber, cashmere is from the silky undercoat of the cashmere goat. There are a few ways to collect cashmere to make yarn, one being simply following behind the goat in spring when it molts big clumps of its undercoat, or collecting it by hand by brushing the animal with a coarse comb (Parkes, 19). Cashmere is a delicate fiber that is best used to make items that will come into direct contact with your skin so you can better appreciate the luxurious texture. Camels also go through a molting season in the spring, releasing about 5 pounds of soft undercoat (Parkes, 26). The fibers spin into a soft and lightweight yarn that blends well with other protein fibers, such as wool (Parkes, 26). There are benefits to using protein fiber based yarns. Just as the animals themselves benefit from the hairs that make up their fur, we too benefit from their fibers when they’re spun into yarn. Protein fibers are generally known for their lightweight warmth. For example, traditional fishermen’s sweaters were made from wool for their work at sea because of the inherent warmth and water repelling properties of sheep’s wool (Parkes, 13). Sheep’s wool is hygroscopic, meaning the protein fiber in wool can absorb up to 30% of its weight in moisture but still feel warm and dry on the skin (Parkes, 13). 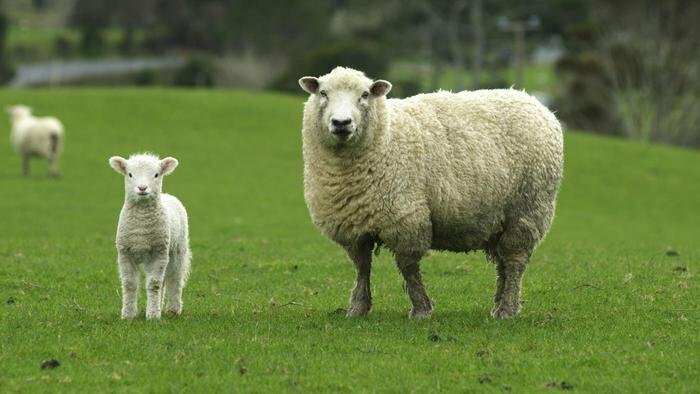 Another benefit of sheep’s wool is lanolin, which is a water repellant substance that sheep secrete to keep their bodies warm and dry. These properties present in wool were very helpful for fisherman at sea, and it’s also a valuable fiber to firemen, as it is also naturally flame retardant (Parkes, 13). Mohair from angora goats is similar to sheep’s wool in that it is also water resistant and flame retardant, but it is known to be warmer and stronger than wool (Parkes, 17). Protein fibers are also valuable for the construction of clothing thanks to the scales found along the shaft of each fiber. To get an idea of what these tiny scales are like, Parkes explains that you can feel what they are like for yourself by feeling a strand of your own hair. “Slide your fingers away from your scalp and they’ll move smoothly; in the other direction, they encounter a faint amount of drag and resistance” (12). The drag you feel is the texture of the scales that make up your hair. When made into yarn, the scales present in protein fibers help hold everything together and contribute to a garments elasticity and ability to retain its shape. Interested in learning more about different fibers that make up yarn? Stay tuned! In the mean time, come by Yarn Durango and check out our excellent selection of beautiful yarns. Whether you’re new or an expert, a knitter, crocheter, spinner, or felter, we know you’ll be inspired by our choices. Yarn Durango is here to help!